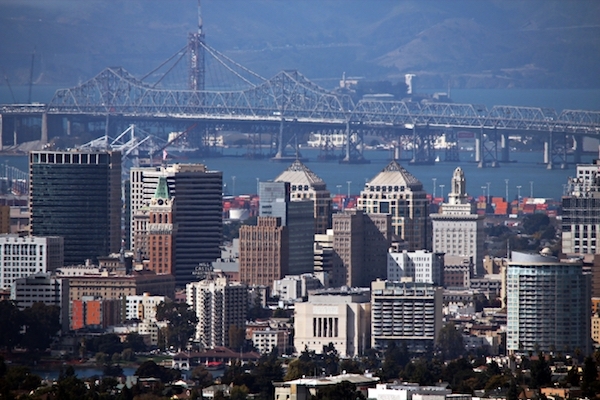 A new city-county collaboration has been put forward by Oakland City Councilmember Rebecca Kaplan, along with Alameda County Supervisor Nate Miley, in an effort to grapple with the East Bay’s increasing homelessness crisis. Kaplan and Miley are proposing the implementation of a number of short-term solutions to tackle the issue immediately, including extending winter shelters into the summer, acquiring SRO (single room occupancy) buildings to be used as service centers, and allocating public space for encampments where the homeless could legally camp and receive city services. In late April, Miley co-chaired a Joint Social Services and Health Care Committee meeting attended by approximately 10 East Bay legislators, supervisors and nonprofit leaders. These included members of the California State Association of Counties (CSAC), Alameda County Housing and Community Development and the Alameda County Public Health Department. The attendees will continue to coordinate with both the city and county in developing these short-term solutions, and are ultimately expected to help propose new city-county policies and allocate funding in the near future. At the April meeting, Gardner discussed how her department will allocate $10 million of these boomerang funds over the next two years to tackle homelessness and housing in the county. For example, she indicated $3.5 million could be allotted for crisis intervention services to aid anti-displacement of residents, such as access to legal services. In 2015, the Alameda County Point in Time Count tallied the number of homeless people on the streets on one night in January at 4,040, which was a slight decrease from the 2013 figures of 4,264. However, the cost of housing alone in the Bay Area has since risen by 5.5% in one year from February 2016 to 2017, according to the Consumer Price Index. Another Point in Time Count was taken January, 2017, and the results are due to be released later this year. Kaplan, Oakland’s at-large councilmember, has been working on tackling the city’s homelessness problems for years, including authoring Measure JJ, which passed on the November ballot. The measure seeks to protect renters from large rent increases and unjust evictions. Under Measure JJ, property owners cannot increase rents above the rate of inflation without approval from the city’s rent board. One of these solutions proposed by Kaplan and Miley is to open a “navigation center” in one of the former SRO buildings. A navigation center is a low-barrier shelter which is more accessible to homeless people regardless of their status. Many homeless shelters have rules and regulations that can be practical barriers to admission. For example, they may not allow people to bring pets, possessions or partners into the shelter. “Historically, a lot of homeless shelters have a lot of rules, like you can’t come in if you’re not clean and sober. This prevents those who are most in need of help [from] getting help,” Kaplan said. Low-barrier shelters, such as navigation centers, have low criteria for access compared to standard shelters, meaning more people can have a place to stay and can then be connected with other services in order to find more permanent housing. Not only do navigation centers provide temporary housing, but also social and medical services. The Henry Robinson Multi-Service Center in Oakland is an example of an existing navigation center, which is jointly funded by Oakland and the county—the center helps transition homeless residents of Oakland into permanent homes. Additionally, in November, voters in both Oakland and Alameda County approved bond measures of $600 million and $580 million to ease the housing crisis by providing more affordable housing. But only $100 million of Oakland’s $600 million bond is set aside for affordable housing. According to Alexander Marqusee, a policy analyst for Oakland Councilmember Lynette Gibson McElhaney (District 3), this bond money has been earmarked for capital infrastructure, and therefore has to meet very specific criteria regarding how it can be spent. But, he added, Gibson McElhaney would be very supportive of Kaplan’s initiative for short-term measures. Kaplan, Miley and Marqusee all support the authorization of encampments for homeless residents, to prevent them from continually being moved by the police. “If people are living in an underpass and then the government spends a ton of money to kick them out to the next underpass down, it doesn’t accomplish anything,” Kaplan said. These encampments would have sanitation and waste facilities, and local government service providers would regularly visit the camp to provide medical help and try to find more permanent housing for individuals. One such legalized encampment had already been established in West Oakland, which provided washing stations, needle disposal boxes and toilets. According to Marqusee, street outreach workers would regularly visit the camp, building up relationships with individuals which in turn helped to get them into housing. “We housed almost 30 out of the original 42,” he said. The camp was originally due to close on April 1, but as people were rehoused, others moved in. Following the March 27 San Pablo Avenue fire in a low-income apartment bulding, which displaced over 100 people, the camp was kept open longer. However, on May 1, a fire swept through the encampment, leaving residents’ tents and belongings destroyed, it was the second fire in the space of two weeks. Future legalized encampments will likely need to address dangers like these to ensure the safety of residents. Miley plans to immediately work with the Board of Supervisors, California State Association of Counties and other agencies to ensure the winter shelters remain open, to evaluate how the bond money can be used to ensure affordable housing, and to hire a consultant to be a liaison between all the bodies. Another Joint Social Services and Health Care Committee meeting will be held in the next 30 to 60 days to assess the progress. According to Gardner, Alameda County Supervisor Keith Carson, whose board district also covers Oakland, is also planning to hold a meeting with District 5 agencies and departments, to increase the city-county approach to the issue of homelessness in the East Bay. My husband and I are homeless, how can we access these services?